Revised General Test (GRE) is the admission test for many graduate schools in the United States, and in other English-speaking countries. If you are planning to go to graduate school then GRE score is must. 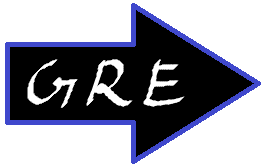 The takers who are interested in pursuing their postgraduation(Master’s) take the GRE test. There are 700 test centers in more than 160 countries. In most of the region it is online test or otherwise it is paper based test. This exam occurs three time in a year, October,November and February. The revised General Test features question types that closely reflect the kind of thinking of taker’s do in graduate or business school. 1)	Verbal Reasoning : Duration of this section is 30 minutes and it consists Reading Comprehension, Text Completion and Sentence Equivalence 2) Quantitative Reasoning : This section has two 35 minutes Quantitative sections. So total duration is 70 minutes. It consists of Measures problem-solving ability, arithmetic, algebra, geometry and data analysis. 3)	Analytical Writing : It consists of two essays which includes critical thinking and analytical writing skills, specifically your ability to use creativity. The duration of this section is 75 minutes. 4)	Experimental section : This section is of 30 minutes and it is either based on Math or Verbal. The total duration of exam is 3hrs or more depends on the format. The scores for Verbal and Quantitative 130 to 170 with increment of 1 point. The score is valid for 5 years. The cost of the entrance exam is $150 USD. The takers can register for either the computer-based test or the paper-based test with a valid credit or debit card — American Express®, Discover®, JCB®, MasterCard® or VISA®. Takers’ can cancel their registration no later than four days before the test date.